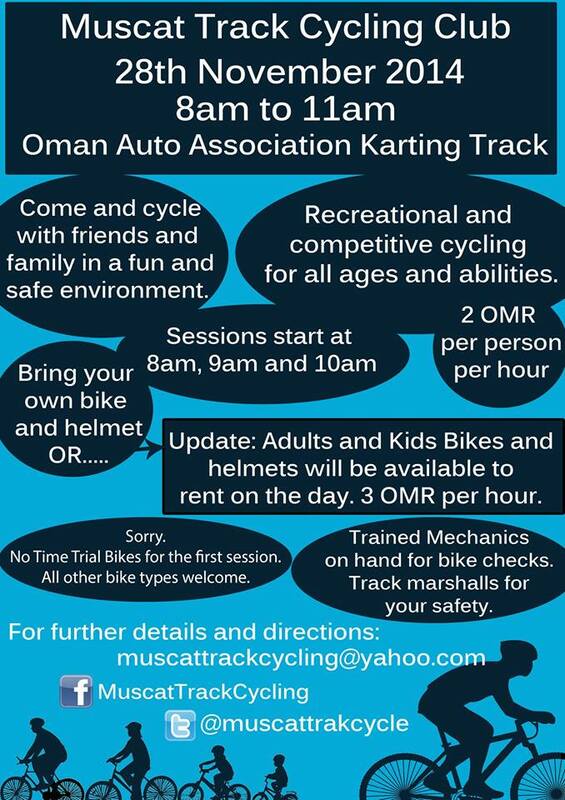 For those who love cycling and don’t feel safe in the current conditions there’s a great news.I have been always jealous in the UAE the people have so many options in terms of safe cycling,finally the initiative from Muscat Track Cycling Club came to exist.They managed to rent a space at Oman Auto Karting Track,starting 28/11/2014.More info below. This entry was posted in Uncategorized and tagged cycling Oman, Oman Karting Club. Bookmark the permalink. I am leaving Paris, France next week for some fifteen days in Oman. This is an email you can write me back if you wish: romain.cacheux@yahoo.fr.